Wide variety of quality education programs in a safe, beautiful and culturally diverse environment. 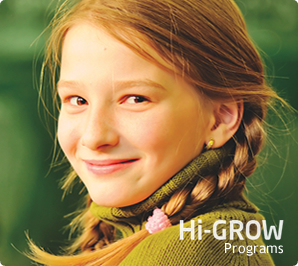 There are many great reasons to consider boarding schools in Canada. Not only you can improve your English, but you can also learn about Canadian culture, make friends and prepare yourself for success as a university student in Canada. 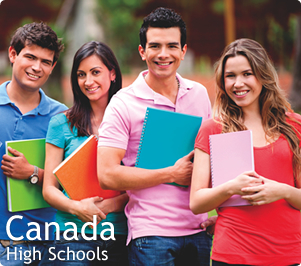 Canada High School programs offer the highest quality learning experience in a safe, beautiful, culturally diverse and accepting environment. These programs instill a balanced outlook in young minds by encouraging students to become active members of their school and neighborhood communities through athletics, cultural activities, volunteering and non-academic pursuits. International students can tailor their studies to suit their individual interests and career goals. In addition to required courses, students can choose from a wide range of elective subjects in fine arts, business education and applied skills. This innovative country supports international students with their transition into the Canadian public school environment, leading to university or college acceptance. If you are a hard working, motivated student with a desire to live in a new culture, a Canadian academic program may be just right for you. Canada is a place where arms are always opened in welcome. Canadians encourage and challenge each one of their students to achieve a healthy body and mind. In Canada, trying out for teams is not an intimidating process. Even initially reluctant students are buoyed by the spirit of, participation and support that passes from student to student. When you try new things in Canada, your teachers and friends will support you. In fact, they will cheer you on! This type of encouragement is just one of the things that makes Canada so special. What would you like to accomplish? Whatever your goals, we believe you can do it. During the year the international students are offered special activities such as skiing, skating, tennis, rowing, cycling, track and field, golf, rugby, etc. Sports are a very important part of Canadian life. A Canadian education is about more than just math, science and history. It’s about a healthy way of living through, self-discipline, independence, and strong work ethic students can carry with them the rest of their lives. Studying in Canada will allow you to forge lasting friendships in your home away from home. This is an excellent opportunity to make Canadian friends and practice English in an interactive environment. Students benefit from the opportunity to live with a variety of people at every grade level, keeping social connections strong. In Canada, there are many people from other countries because of this fact people are accepting of each other. The local people are very open to the international students and enjoy sharing cultures. Within this atmosphere of friendly interaction, international students make strong friendships with local students.